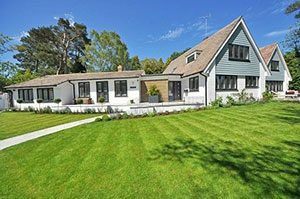 If you feel like you want to improve your garden in some way, then getting the help of professional landscape gardeners in Barnet is definitely the way to go. A company with years of experience in this business and numerous marvellously realised projects, Barnet Landscape Gardening is your number one choice. We are a flexible London company able to assist you with just about anything garden-related, from getting the initial design of the place to installing features and regular maintenance. We have well-trained professionals for all your garden needs and requirements, even if we start from nothing. Our expertise is available to you within a single phone call on 020 3907 7262. We can visit any area of Barnet quickly and provide our expert gardening services. After contacting us, we will follow strict procedures, which have been proven as effective over the years. First, our representatives will handle your enquiry, taking note of the details. You will find them well-trained and ready to answer any questions. After that, we will send an expert for an on-site visit. That way we will closely inspect the garden and see what it needs. This is needed in order to give you’re the most accurate quote and recommendations. It won’t be long before we start work and get you the garden of your dreams. In case you already have a beautiful layout in your garden and only need some help in maintaining it, then we will be more than happy to assist. We have expert gardeners, professionally trained to provide superb hedge trimming, lawn care and every other garden maintenance chore you can imagine. We know that this duty is demanding and we have made it our mission to provide people with all the help they need. When you hire us at Barnet Landscape Gardening, you get the best – both in terms of professional attitude and price. Don’t just take our words for granted – gives us a call on 020 3907 7262 and we will prove it to you. There is nothing we would love more than help you keep the garden of your property in top shape throughout the whole year. You can contact us at pretty much any time and we will handle your enquiry in a fast and very professional manner. We know just how important gardens are and how much they affect the property they are part of. 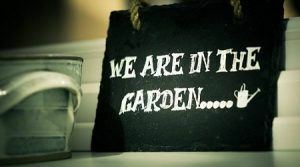 That is why we are dedicated to gardening and landscaping projects so much. Driven by the belief that what we do matters, we are motivated to see the project be realised as best as possible. We have armed our gardeners with the knowledge and tools to do it, so all you really have to do is contact 020 3907 7262 and get us on the case. We guarantee that you will not regret working with our landscape gardeners in Barnet!